Cinema is always evolving and it’s an exciting process to witness, to explore and to understand. 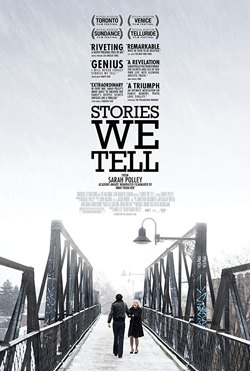 A film such as Stories We Tell is just one example of many notable films that have gone quite some way in transcending its original moment of release to become something of a landmark in contemporary cinema. In this instance, we are considering a film that reinforced the value and interest of the documentary form as a globally popular and highly regarded form of cinema. Every film reflects (some of) the concerns of its time and the particular ways of looking at the world within the culture, the society, and the moment in time from which it is produced. This website offers a wealth of enriched content to help you help your students with GCSE & A Level Film. Please subscribe or log in to access this content. The content of this site has been produced by teachers and examiners. Edusites have similar support sites for English and Media called Edusites English and Edusites Media. If you would like more information about Edusites Film, get in touch using the contact details below.